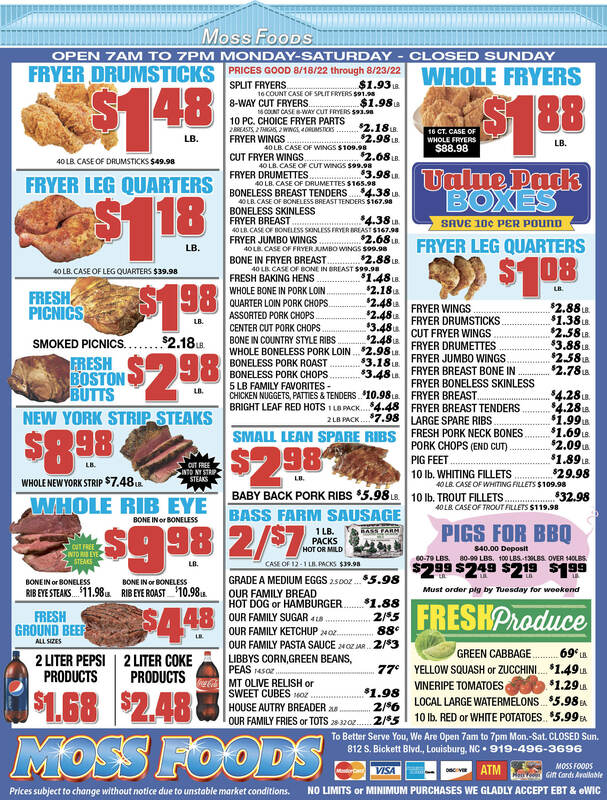 Showing 29 articles from June 24, 2015. LOUISBURG -- Although breathing a sigh of relief that Franklin County schools received $654,000 more in local funds than officials feared a short time ago, school officials are struggling to deal with the nearly $1.2 million the schools did not get in the 2015-16 budget. "You could say that we're really happy when what we received is compared to receiving nothing" in the county budget, said Doug Moore, assistant superintendent for business and finance. LOUISBURG -- The former treasurer of the Franklin County Arts Council and president of a statewide student information association is slated to appear in court on Wednesday, facing allegations that he stole more than $22,700 from the two entities. Joe Baisley surrendered to authorities in December after Franklinton investigators took out warrants alleging he took more than $6,700 from the Franklin County Arts Council and used it for his own purposes. 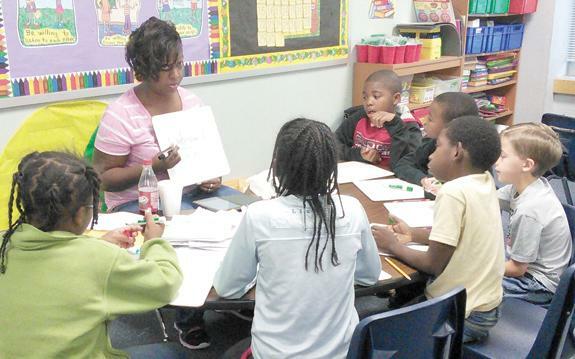 LOUISBURG -- Laurel Mill Elementary School teacher Benita Arrington faced one of the toughest challenges of her 15-year career recently just about the time she was being named Franklin County's Teacher of the Year. Arrington, who came to Laurel Mill two years ago as a second-grade teacher, had "looped" with her students, teaching the same youngsters in third grade as well. 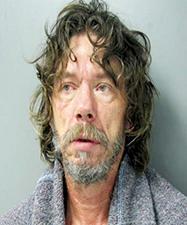 LOUISBURG -- Days after Franklin County deputies were called out to check on the wellbeing of a Louisburg man, he was charged with killing his mother. Investigators arrested Clifton Grady Hunt, 52, shortly after finding his mother, Sarah Faye Fields, dead inside the home on Fox Ridge Road they shared. 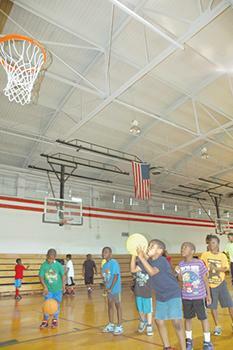 Joseph Iyoha focuses on the basket during summer camp, offered free, by Helping Hands Pal in Franklinton. The two-week camp offered about 150 campers sports activities, as well as classroom activities, mentorship and free meals. 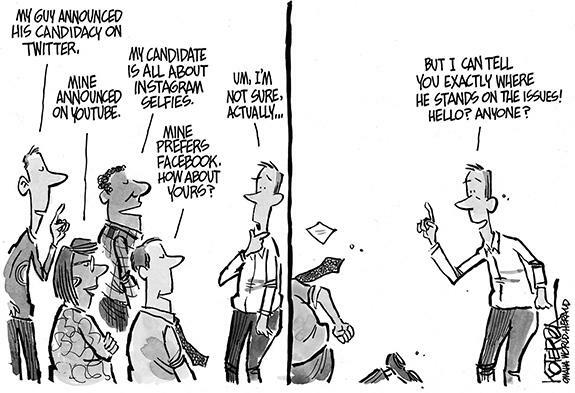 We certainly have a strange way of making decisions in this state! Can you imagine a dumber way to operate our public school system than to have a bunch of old fogies in the Legislature -- most of whom haven't been in a classroom in 10, 20 or 40 years, and who didn't do all that well when they were there -- deciding how to staff grades one, two and three? 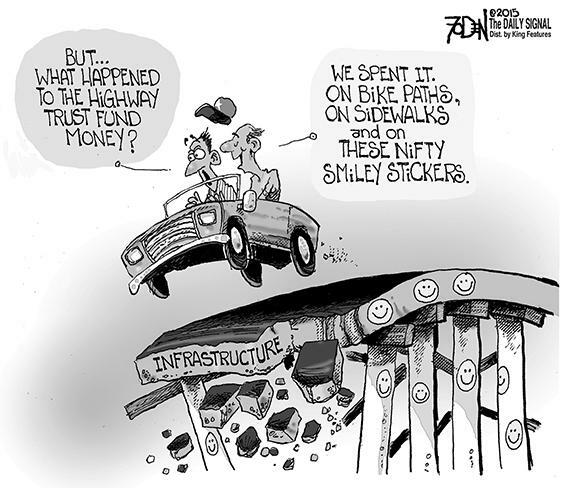 There is a little to like in the county's fiscal year 2015-16 budget. There is a LOT to dislike in the budget. But most importantly, there is a great deal to question in the county's budget. The budget was approved last week on a partisan 4-to-3 vote with all the Republicans voting against it and all the Democrats voting for it. Will removing Rebel Flag wipe away people's hate? In this business, I've learned that the most benign things can be land mines, so its best to not worry about avoiding them. In the last few days, much of this nation has been embroiled in a significant debate about the Confederate flag, what it means and whether any government entity should take an active role in its display. The new smoldering of this old debate was ignited last week when a white man was arrested for killing nine black church parishioners in Charleston, S.C. while they took part in Bible study. A week ago today, I awoke to messages on my BlackBerry telling me that the night before there had been a shooting in a South Carolina church which took nine lives. As the morning unfolded, more details emerged and the shooter, 21-year-old Dylann Roof, was ultimately apprehended in Shelby, N.C.
YOUNGSVILLE --Charles Wayne Chamblee, 59, died at his home Sunday, June 14, 2015. 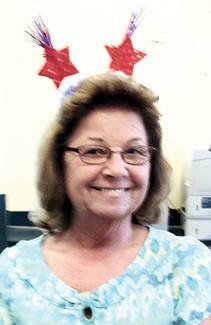 Funeral services were held Wednesday morning, June 17, at New Hope Christian Church with the Rev. Steve Barham officiating. Burial was in the church cemetery. TAKE A LOOK. Bunn's Ethan Watkins takes a pitch during the Wildcats' victory over Nash Central on Monday evening at the Nash County Babe Ruth Prep League Baseball Tournament in Rocky Mount. ROCKY MOUNT - Even the most ardent Bunn supporters wondered what it was going to take to defeat favorite and top seed Nash Central at the Nash County Prep Babe Ruth Baseball Tournament. undefeated during the regular season, including victories over both Bunn and Southern Nash. GREENE GETS IT DONE. 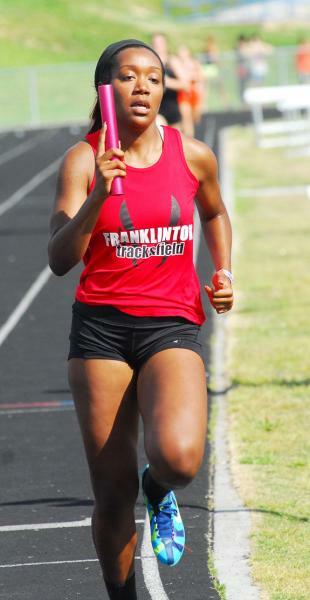 Senior Michaela Greene ran a key leg for Franklinton High's Girls 3200 Relay Team, which qualified for the Class 2-A State Track and Field Championships in Greensboro. FRANKLINTON -- Michaela Greene was all set to attend East Carolina University in an academic-only capacity before her competitive urge was resuscitated one more time. After hearing that Louisburg College cross country coach Jay Koloseus had a late opening in his program following a cancellation, Greene jumped at the chance to stay close to home as a runner for the Lady Hurricanes. READY OR NOT, HERE I COME. Louisburg's Justin Weathers scores a run during Tuesday's tournament showdown against Nash County. 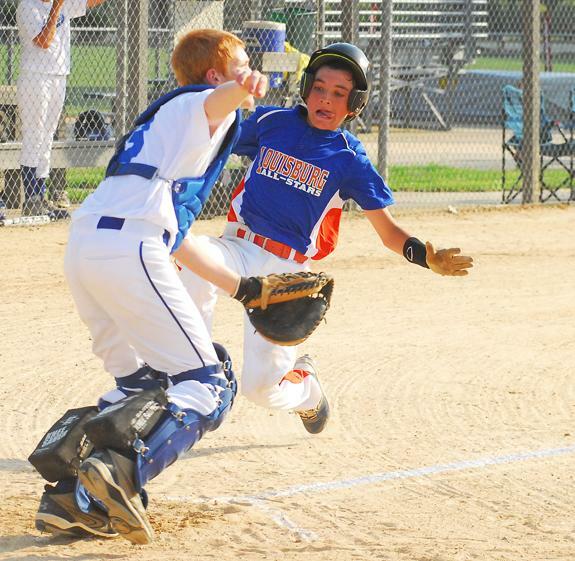 ZEBULON -- Louisburg's All-Stars couldn't have asked for a better start to action at the Tar Heel League 13-14 District 6 Baseball Tournament. 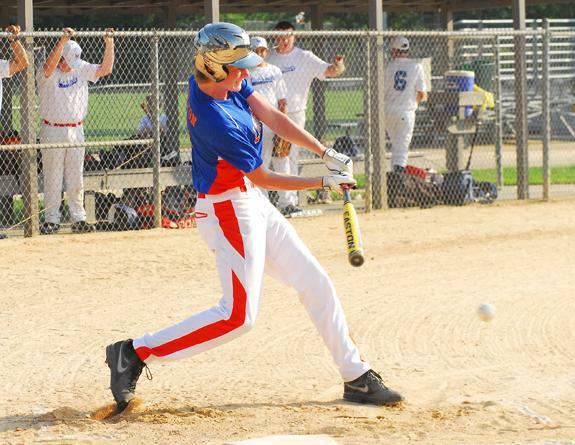 The Blue and Orange overcame near 100-degree temperatures and defeated the Nash County Parks and Recreation All-Stars by a 9-7 margin at the Zebulon Community Park in Wake County. POSTSEASON SHUTOUT STREAK. 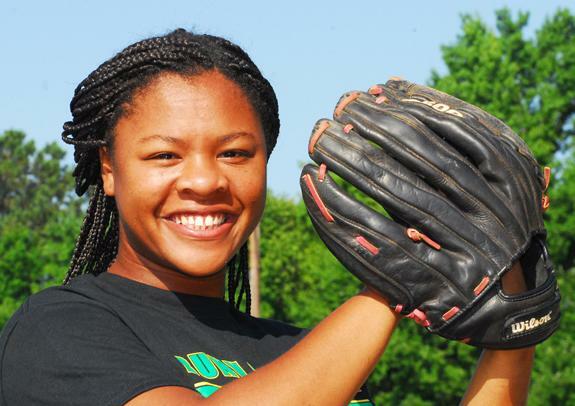 Bunn High School junior standout Erica Davis registered four consecutive shutouts as part of the Ladycats' run to the Eastern Regional Finals of the Class 2-A State Softball Playoffs. BUNN -- Never has the perennial softball dominance in the Northern Carolina Conference been more on display than this season. Bunn won the regular season championship and only lost one game until reaching the Eastern Regional Finals of the Class 2-A State Playoffs. 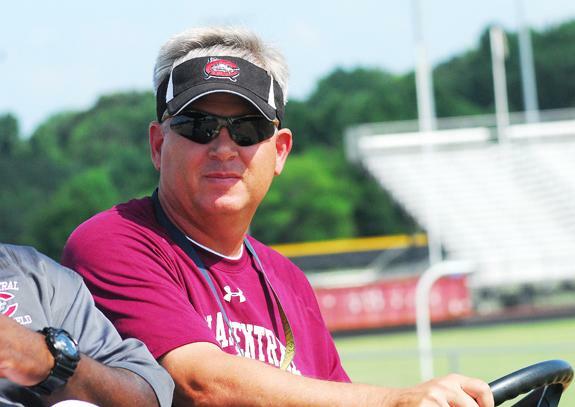 ROCKY MOUNT -- Whenever a new football coach arrives on a high school campus, one of his first worries is how many players will participate when off-season workouts begin. That hasn't necessarily been a problem for incoming Nash Central skipper Chris Lee, who has welcomed an average of 45 performers to each practice or weight-room session. WOODBRIDGE, VA.. - The first half of the 2015 season came to a quiet finish in the Class A Carolina League as the Carolina Mudcats were shutout in back-to-back baseball games by the Potomac Nationals at Pfitzner Stadium on Sunday afternoon. Carolina lost Saturday's suspended game 4-0 and dropped the finale of the series 1-0 on Sunday afternoon. CHAPEL HILL -- Wells Fargo, along with the North Carolina High School Athletic Association, has announced the final standings in the Wells Fargo Conference Cup competitions for the 2014-15 academic year, following the conclusion of the spring sports season. LOUISBURG -- For the first time in recent memory -- and maybe ever -- Louisburg College was not represented with at least one selection on the All-Region X Baseball Team for the 2015 campaign. LC didn't have a selection on either the First Team, Second Team or Gold Glove Team after suffering through a subpar season. 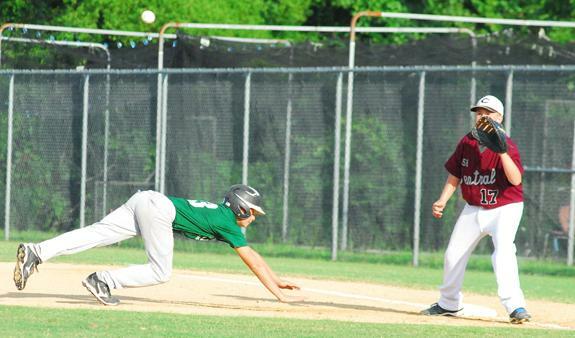 BUNN -- Bunn High School's junior varsity and varsity squads are undefeated through five games in this summer's baseball action in the Central Carolina Scholastic League. 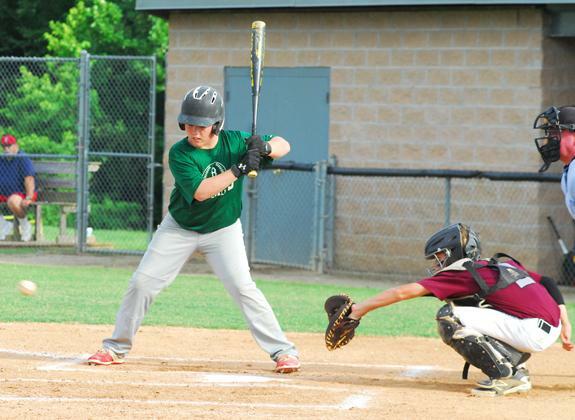 The Bunn JVs registered a 10-3 home victory over Roxboro Community School on Tuesday behind a strong pitching performance from Justin Brantley. Louisburg's Cale Bolton registers a base hit during Tuesday's game versus Nash County at the Tar Heel Baseball District Tournament at Zebulon Community Park. Louisburg's Justin Weathers (left) watches the umpire rule safe on a close play at second base during Tuesday's event versus Nash County at the annual Tar Heel League District Baseball Tournament at Zebulon Community Park. Bunn's D.J. 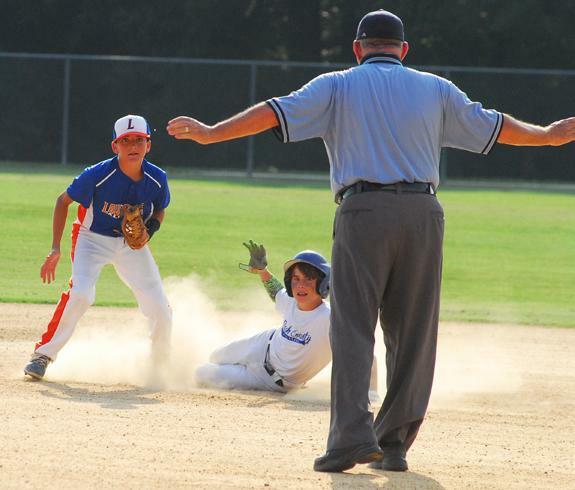 Daniel (left) avoids a pickoff attempt at first base during Monday's tournament victory over the homestanding Nash Central Bulldogs in Rocky Mount. 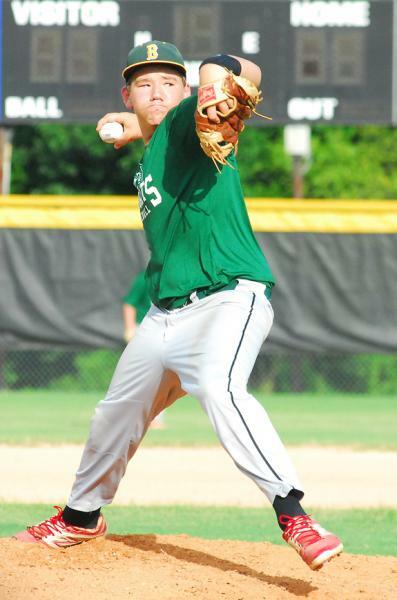 Trent Simmons offered a complete-game performance to help Bunn defeat Nash Central on Monday in the semifinal round of the Babe Ruth Prep League Baseball Tournament. Frances Benjamin Johnston (1864-1952), a leading American photographer of the late nineteenth and early twentieth centuries, came through North Carolina during the Great Depression to document some of the state's outstanding architecture. She recorded exterior and interior details of a number of important buildings in Franklin, Granville, Halifax, Nash, Vance, and Warren counties and published many of her photographs in a noteworthy history of the state's architecture. 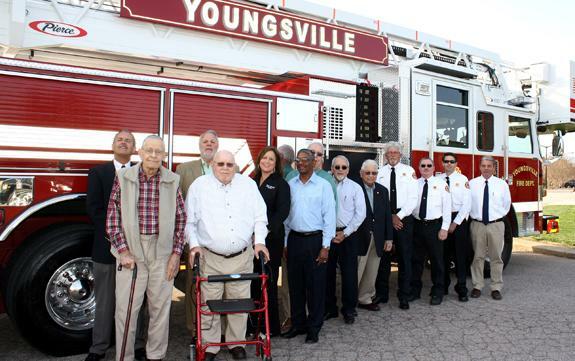 YOUNGSVILLE -- Wake Electric awarded the Youngsville Volunteer Fire Department funding to add a new fire truck to their fleet. Wake Electric awarded the fire department a zero-interest loan through the U.S. Department of Agriculture's (USDA) Rural Economic Development Loan and Grant (REDLG) program, which provides zero interest loans and grants to electric cooperatives. The Franklin County Branch of the NAACP conducted its Annual Mother of the Year Banquet at the Interdenominational Ushers Building in Franklinton recently. Zollie W.O. Gill, branch president, served as the master of ceremonies. 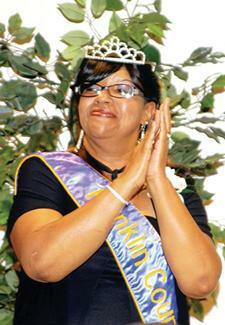 The Honorable Bobbie Richardson, North Carolina State Representative, District 7, was the speaker.